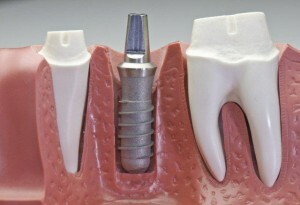 After the placement of dental implants, you may think that there is nothing left to do about them – they are already in place, so you can forget about them, right? On the contrary, you will have to take care of your oral health even more once the dental implants have been placed, to make sure that they will continue to be in their best condition. Life Dental Implants in London will give you effective after-care tips to ensure that you will enjoy your dental implants for an even longer time. problems from developing. Proper oral hygiene practices which include regular tooth brushing, flossing and the use of mouth washes or mouth rinses will also go a long way in ensuring that the dental implants are well taken care of. It is important to practice careful maintenance for dental implants, to ensure that they will continue to work in the best possible way for you for a longer period of time. Life Dental Implants London provides you with the information you need so you can enjoy your dental implants longer – and so you can have a healthy dentition and smile for a longer period of time as well.